The dawn breaks over a misty morn as the hounds catch a scent and begin a merry chase through the fields and woods. For some, the morning hunt is a time-honored tradition. For us, it is also the inspiration for the Morning Hunt Fine Dining Collection, which pulls elements of the hunt itself and transforms them into stunning accents to add to your kitchen and dining room. These accents are all made in the finest of materials, including glass, polished pewter, steel, stoneware, and hardwood. Each piece is made to last, depicting classic sights from the morning hunt, like hunting hounds, ducks taking flight, pheasants, brambles of bush, foxes, and more. These traditional sights from the hunt are transformed into salt and pepper shakers, bottle stoppers, sauce bowls, decanters and tag hangers, napkin rings, and a variety of other fine dining accessories! Any one of these elements would look perfect in a hunting lodge or on a table, served alongside the fruits of a hunt concluded only hours ago! Now the morning hunt can add more to your table than just a pheasant to feast on. 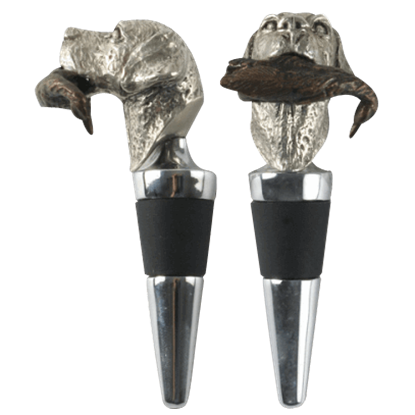 Now it can add rich accents in pewter, glass, and wood, shaped like both hunter and prey. Now the hunt can become a part of your evening routine, too, when you set of the pieces of the Morning Hunt Collection in your kitchen or on your dinner table! 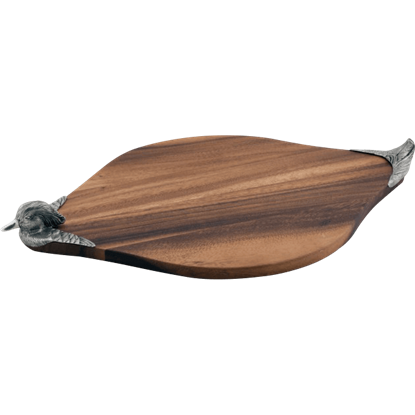 Unique in shape, rich in detail, and large enough for a wide cheese selection, the Acacia Duck Cheese Board is crafted from acacia wood with a gorgeous, marbled wood grain that has been cut to reflect the shape of a duck body. 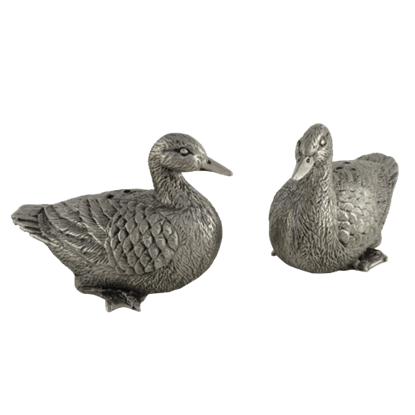 Why hunt any further for the perfect set of salt and pepper shakers when you can have these charming Duck Salt and Pepper Shakers? This country kitchen salt and pepper shaker set is crafted from fine luxury pewter. Any connoisseur knows that a tight seal on bottles is a crucial must for maintaining liquors and wines. You get just that with this charming and functional bottle stopper. Get ready for takeoff with the Flying Duck Bottle Stopper. 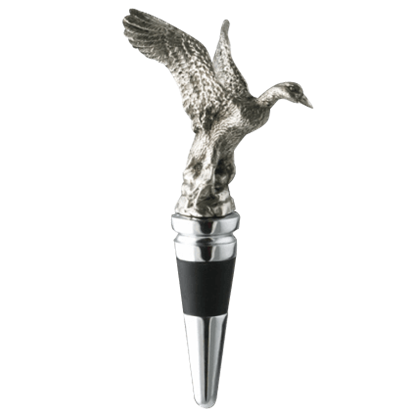 Get ready for takeoff with the Flying Duck Pewter Top Short Decanter. 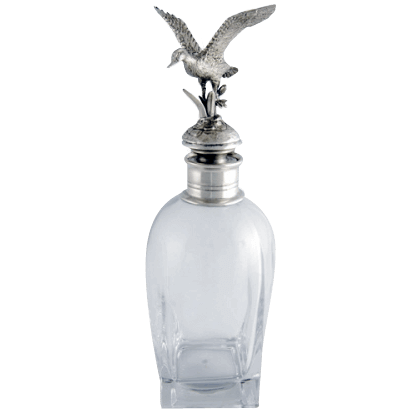 The top of this elegant liquor decanter displays a figural duck that has been intricately detailed, cast, and hand-finished in the highest quality pewter. Anyone who enjoys rustic style is sure to appreciate the look of this charming ice bucket. 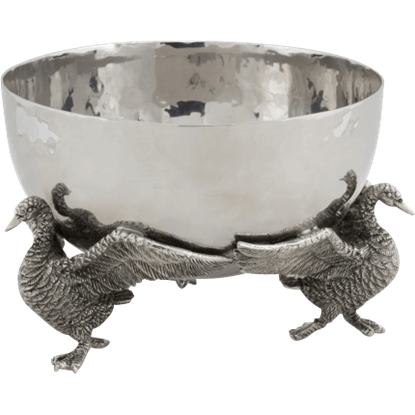 Crafted from gleaming stainless steel, the Goose Ice Tub features a bowl held between several detailed geese that form the feet. Grace your table with mans best friend without all the fur! 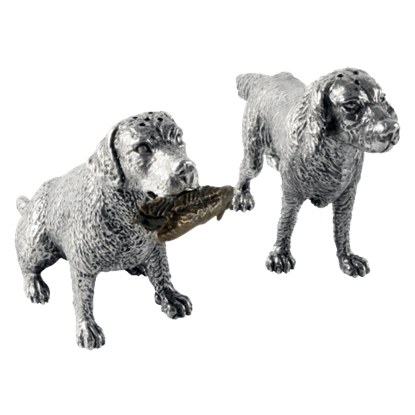 The Hunting Dogs Salt and Pepper Shakers display a pair of lovely spaniels who look as though they have been helping their master on the latest hunting expedition. 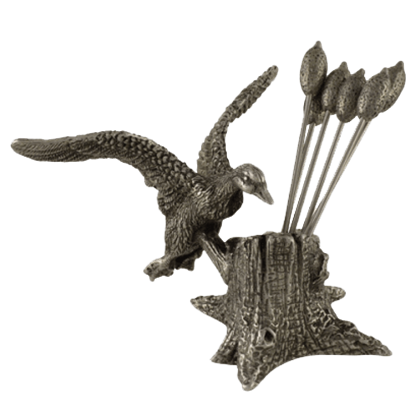 A figure of the most faithful hunting friend a man can have, the Labrador and Duck Bottle Stopper is a great addition to the bar of any huntsman or dog lover. This decorative bottle stopper helps to preserve your favorite vintages. The Labrador and Duck Cheese Board is a fantastic food display and serving piece that is guaranteed to leave your guests delighted. 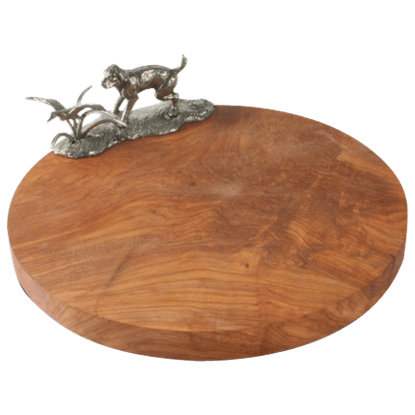 This oak cheese board is accented with a superbly detailed pewter Labrador and Duck embellishment. Your guests will be delighted when you bring out your carefully selected cheeses, and they will be even more charmed when you bring out your whimsical Mallard Duck Cheese Pick Set for them to enjoy with the cheese. 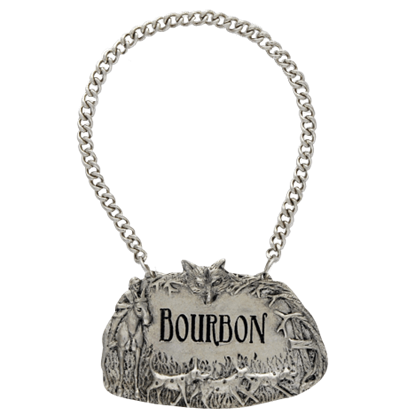 The fox, the hound, the horse, and the hunter all appear in exquisitely detailed mid-relief repousse on the pure pewter Morning Hunt Bourbon Decanter Tag. This liquor decanter tag makes a great addition to your home bar. 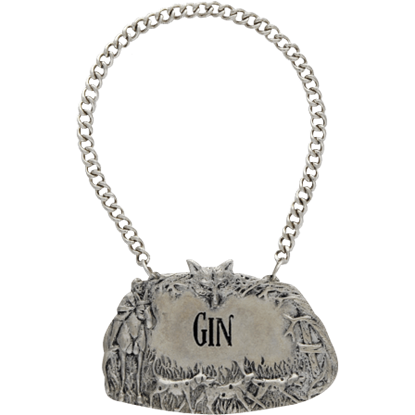 The fox, the hound, the horse, and the hunter all appear in exquisitely detailed mid-relief repousse on the pure pewter Morning Hunt Gin Decanter Tag. This liquor decanter tag makes a great addition to your home bar. The fox, the hound, the horse, and the hunter all appear in exquisitely detailed mid-relief repousse on the pure pewter Morning Hunt Rum Decanter Tag. This liquor decanter tag makes a great addition to your home bar.